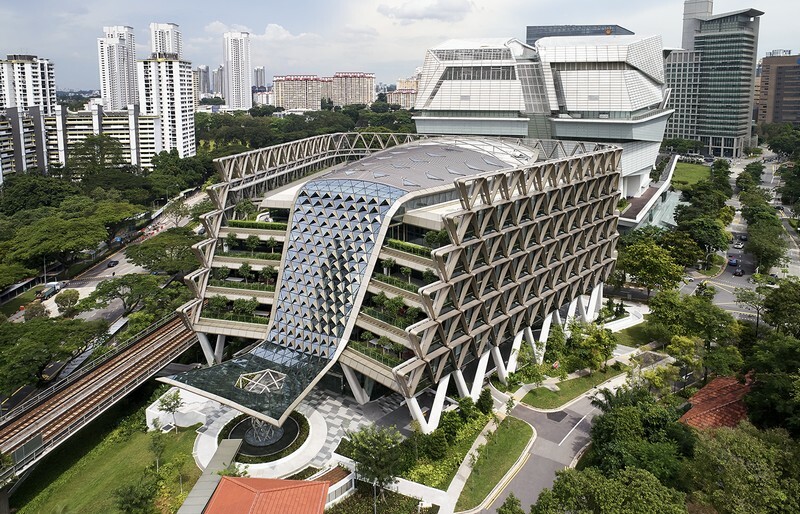 (March 2018, Singapore) The new, purpose-built Asia headquarters for global healthcare business GSK is a beacon of health in the region, located within Singapore’s strategic One North business hub. 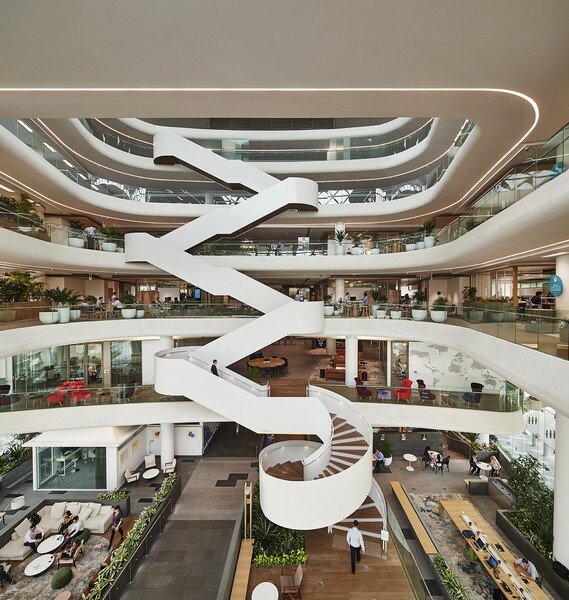 GSK Asia House has been designed by leading international practice HASSELL with GSK’s agile and collaborative working principles at the heart of the design to keep people and ideas flowing freely across this high-performing workplace. Central to the design concept and process were GSK’s Smart Working principles, which formed the basis for envisioning a healthy, stimulating environment designed to encourage movement and collaboration between employees. 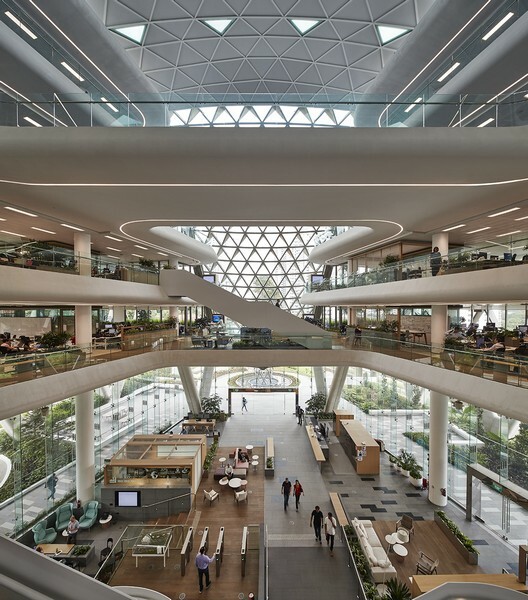 These principles were conceived by GSK service and technology experts, and guided HASSELL as the design leader in bringing together the overall design vision for the GSK Asia House. 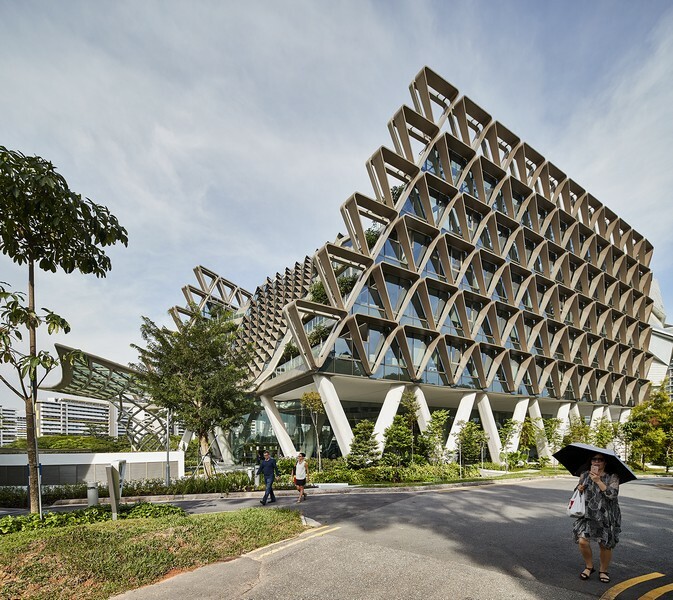 Smart Working sites around the world, the design principles for GSK Asia House anticipate how new ways of working in Singapore will evolve over time. 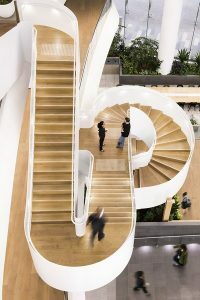 GSK wanted a workplace that enables greater cross-functional collaboration across business lines to break down barriers and enable quicker, more effective ways of working. 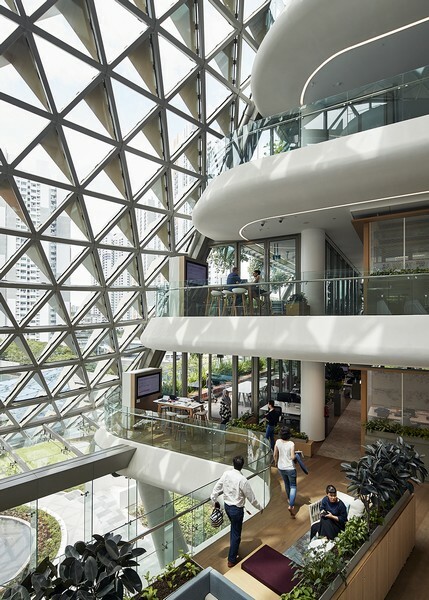 HASSELL brought this to life by creating a horseshoe-shaped flexible floorplate arranged around a central atrium, that sets the bulk of the building to one side so people can reach each other more easily across the open, free-flowing space. GSK Asia House features over 15 different types of working environments, including creative collaboration spaces, external wi-fi enabled landscape settings, fostering collaboration and the sharing of ideas between employees, as well as encouraging wellbeing and movement in and around the workplace. The landscape design supplements the architectural concept by seamlessly embedding GSK’s highly transparent new headquarters into the established parklands and buildings around it, including three colonial heritage bungalows that have been fully re-lifed and integrated into the site, housing a staff gym, fitness studio and an executive retreat facility. Designed to embrace the community from the adjacent residential areas as well as the larger working population at the visionary new biomedical hub known as One North, GSK Asia House will give ongoing value to GSK and the surrounding community. For further details, please visit www.hassellstudio.com.